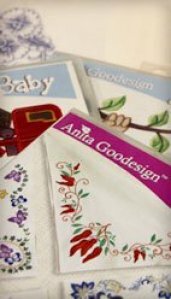 Anita Goodesign goals are simple: 1) create the best designs in the industry and 2) make them affordable to home embroiderers. 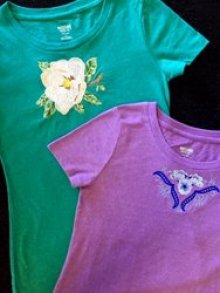 With full-time artists, an immensely talented staff, and a completely “in-house” process, they have been able to accomplish that goal and remain the leader in home embroidery designs with affordable prices. and much, much more - just call with your request and we will order it for you! 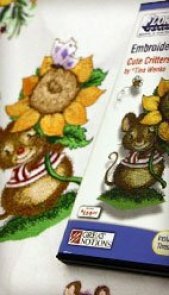 Floriani Embroidery offers a full range of embroidery and sewing supplies, from thread to stabilizers to software — everything you need to make your embroidery beautiful! They specialize in specialty stabilizers and produce the very finest in Polyester and Metallic Threads, but are best known for their easy to use – and easy to afford – Embroidery Software. The all new Anita Goodesign Online is here! With this new site, you can purchase and download Anita Goodesign products instantly while also supporting us, your local dealer! When you make a purchase, you'll simply want to support us by including our dealer code on the page where you enter your payment information!